The "education gap" refers to the educational inequality between the highest and lowest performing students’ educational achievement due to external areas of disadvantage children have no control over. This gap can have a profound effect on a child’s whole future. 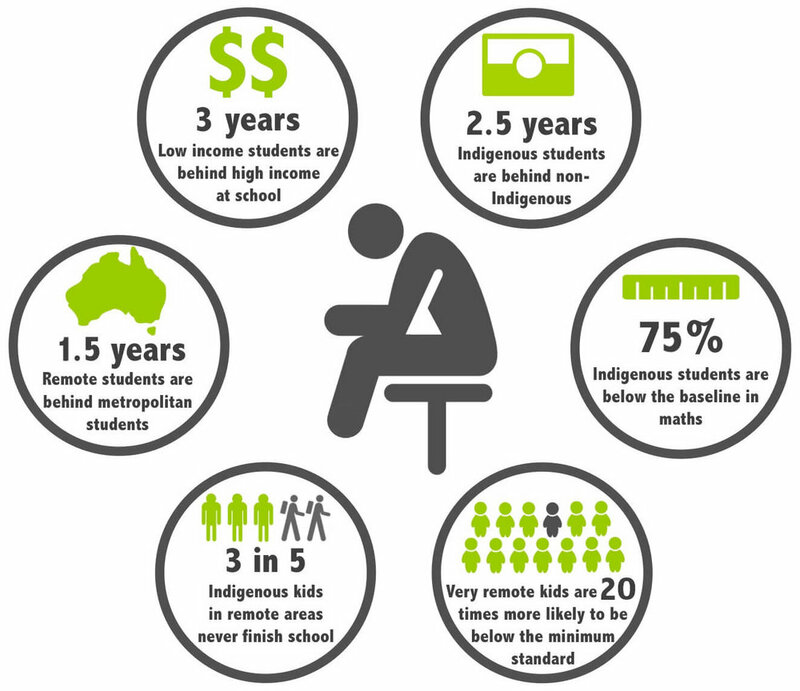 Teach Learn Grow is committed to obtaining an Australia where every child has equal opportunities in education, regardless of their location, background or circumstance. Our Mission is to improve the educational outcomes and aspirations of rural and remote students in socioeconomic disadvantaged areas so that they can reach their full potential.